GitHub, Bitbucket, GitLab and VSTS integration. To speed up the import/export process, you can link the localization files in your repos to languages in your localization project. WordPress plugin. 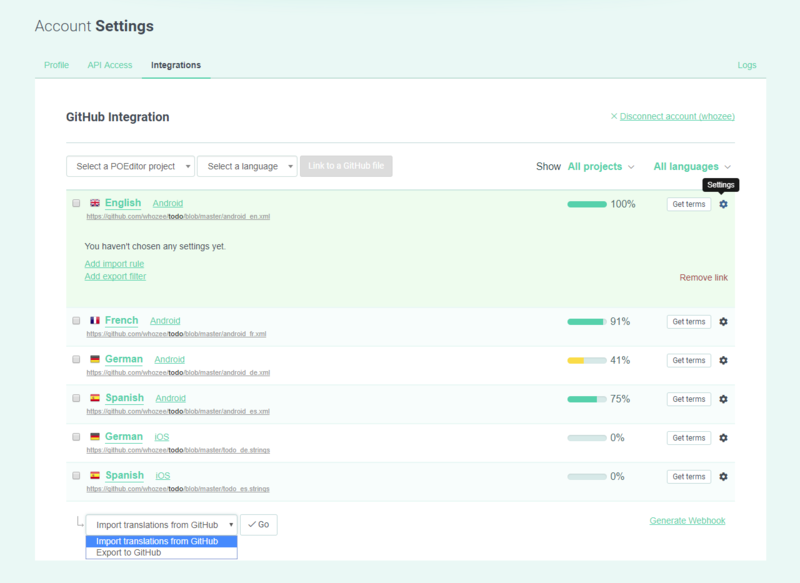 This lets you connect the language files in your WordPress instance to the languages in your POEditor projects, to speed up the import and export of strings. API. 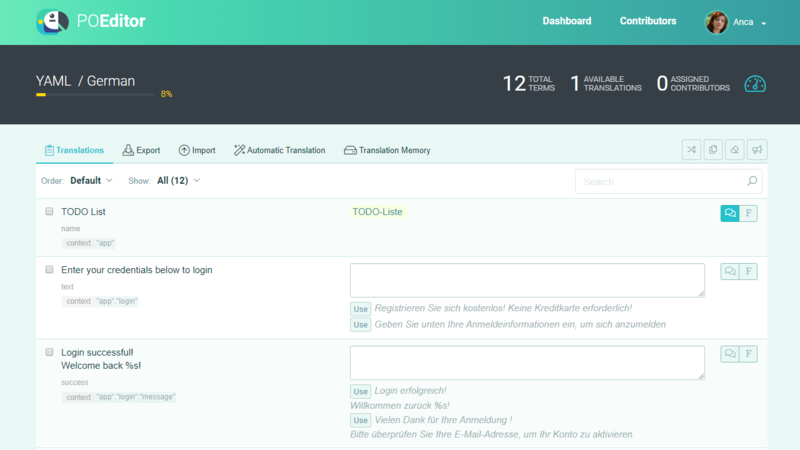 If you wish to manage everything from your end without any third party service, the localization API is for you. Translation Memory. The TM memorizes your translations (i.e. 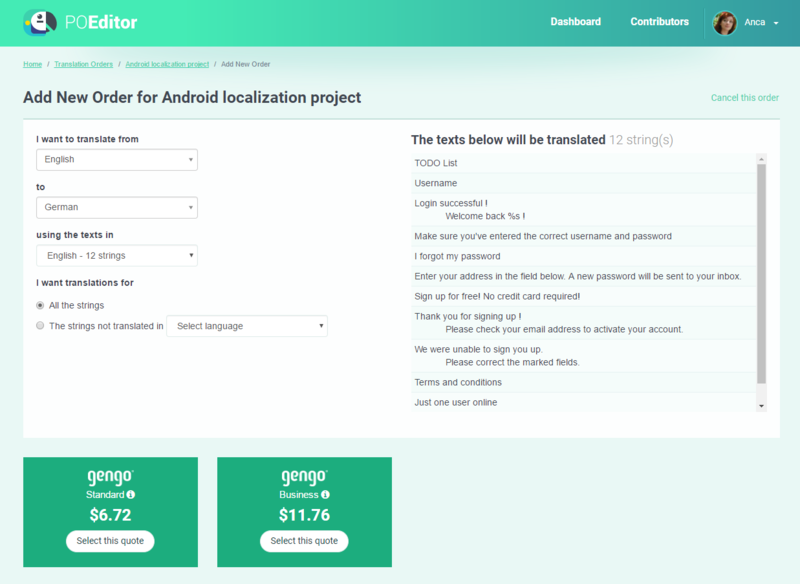 translations made by you, or by your translators), and allows you to use them again in your current and future localization projects. Translation orders. If you don’t have your own translators and need high quality human translation, you can order translations from one of our partners providing professional human translation services, directly from your POEditor account. Automatic Translation. This feature uses the machine translation engines provided by Google or Microsoft to instantly translate your app or site strings.